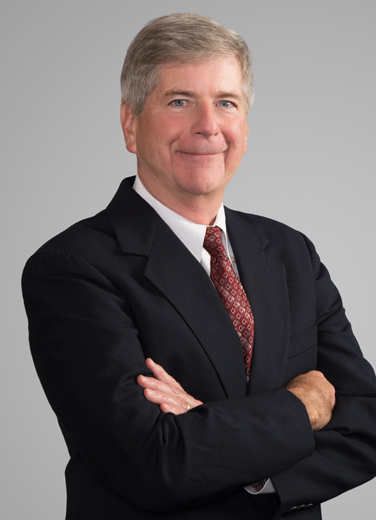 Jim Mansfield is a seasoned lawyer who focuses on the examination of titles for the drilling of oil and gas wells, as well as for real estate purchases and sales in Louisiana. He handles several phases of oil and gas mineral lease sales, purchases and divestitures on behalf of clients in oil-producing states, including Louisiana, Texas, Oklahoma and Colorado. A regional oil company wanted to drill the then-deepest well in Louisiana, in the process creating a unit comprising thousands of acres. Jim handed the title work, leveraging Liskow's vast title library to quickly locate the titles for all of the landowners participating in the new well's production and to jumpstart the project. An E&P company new to Louisiana had an area in the southern part of the state that it wanted to explore for minerals. Jim received a call looking for a prior opinion for the first tract involved in the project, which resulted in 20 wells and expansion across the southern part of the parish - all relying on Liskow & Lewis’ title opinions. 2019 Best Lawyers' Energy Law "Lawyer of the Year"
2018 Best Lawyers' Natural Resources Law "Lawyer of the Year"
Jim often speaks before professional organizations in which he's an active member. These include the American Association of Professional Landmen, the Lafayette Association of Professional Landmen and the Louisiana Independent Oil & Gas Association. Jim is an accomplished photographer and avid traveler. For example, recent trips have included Australia, New Zealand, Turkey, Greece, Hawaii and Alaska. He also loves to play golf.